You are here: Home › Advice › 10 best Tips to Optimize your Online Business of Ecommerce with a Magento platform. 10 best Tips to Optimize your Online Business of Ecommerce with a Magento platform. Ecommerce Topics: Enhance Images, Search Techniques, Navigation, Rich Content, Checkout EZ, Multi Payment, Wish List, Local & Intl, Stock Mgt, Clear DataBase. Digital Marketing has emerged as one of the most efficient ways to promote products & services online. Whether you are selling massive physical goods from a Magento store platform, or marketing affiliate links for products – it is imperative to find new web customers for advanced online sales. Practices. 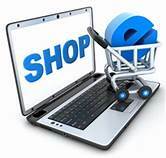 However, running an effective online store requires a better understanding of the factors responsible to influence changing market trends, Web customer behaviors, and the expectations of your current customers. You need serious digital marketing practices for effectively selling your products. Content Management system that Magneto has for Ecommerce solutions will have you doing the hard work for the progress of overall sales of your online stores. You will experience the built-in features & functions, which will help you to create a highly-interactive Magento web store with affluence. Top Practices for advanced conversions and improved sales should be learned. Once you have the knowledge of various factors, you can easily concentrate on improving the overall performance and user experience of your web store. Know the compelling tips to boost your Magento web store sale and take your business to succeeding levels. #1 Enhance Images. Pictures & graphics are the primary elements of any good Ecommerce website. Use an optimum size of an image for the best outcome. Large images tend to impact the performance of a website – especially pages heavily loaded with images. Use a good Content Delivery Network (CDN) to serve the images, which is the most beneficial approach. CDN will allow loading of pictures from a secondary server and prevents unnecessary loading on your server during the page loading. Cloudinary: This tool is an image manipulation that provides a feasible explanation for all image-related requests in the cloud. JPEGmini: This tool is known to allow compression of the image size from 70-80% – without compromising the quality. Cloudfare: It is the top place to make websites, mobile apps & Ecommerce stores in a safe & quick environment. Turpentine: This tool is available free of cost and is based on Varnish. Full Page Cache: This is a paid tool and contains a large number of premium features that can optimize the functionality of your Magento store. #3 Implement amended Search techniques. The type of platform used to build a website is responsible for its performance. In case of Magento, the native installation has inbuilt useful features. Some of them might demand customizations, but a few of them are ready to use. Efficient Search mechanism in Magento allows a catalog searching that is fast & accurate by the integration of AJAX search algorithms. The better search results – that will give more sales in turn. It is a decent practice to assure that your Magento store stacks rapidly on every single mobile. With this, you will gain enormous movement from portable customers and site’s ease of use will enhance too. A perfect way is an additional preferred perspective – particularly on the off chance that you have a . . .
A unique content without any errors, will help increase the natural search traffic. Good content is responsible to drive traffic and your Customers will favorably share your content within their friends & relatives. Good Content will benefit your business, but the poor usage of it can kill your credibility. Consequently, as a Magento Ecommerce owner make sure you use a quality content that will elevate your business rather than putting it down. #6 Make your Checkout process easy. An annoying checkout process is the key reason for Cart abandonment when it takes more than a short time to finish the transaction. According to a few studies, the Abandonment rate of an average Shopping Cart is 74% – which can be managed easily, if you provide the users with a secure, quick & easy to use checkout process. If you want to improve your sale on your Magento Ecommerce, then ensure that your customers don’t abandon the Shopping Carts during the checkout process. Checkout Page has only essential details – like personal information, delivery options, accepting multiple payment options, with security badges to boost sales. You can also enable the ‘Guest Checkout Option’, which is a good idea to bring the high-end flexibility into your Magento Ecommerce. As a Website development company, you ought to consistently give your clients a sheltered, secure and easy way to use shopping understanding. You can do this by offering different online installment choices for creating better outcomes. Rather than offering one installment alternative, you can give Paypal & Charge cards like Visa, MC, Discover, etc, for your Web clients. Each country has a particular checkout & installment alternatives. You need to offer all that apply, by making the utilization of the best Magento augmentation. #8 Create a Wish List. It is not necessary that any visitor to your Magento store purchase something at the same time. Customers want to select the particular item and explore more – with an intention to purchase it later. So, make sure you give them the required flexibility to save their favorite item list in the Cart or Wish List – that they can use later while purchasing. In the event that you need to offer items in the individual languages and monetary forms. Magento makes it simple to convey a similar inventory for various monetary forms so you don’t have to construct another site for a particular area or nation. #10 User Transparent – Stock Management. For the Ecommerce world, product display is strength, but you should show all the products. Presenting the list of all the products is a valuable approach for SEO. But not listing them if they are not present in the currently available stock is better, so that users will less disappointed in their product search. If a customer finds out a sold out message for a certain item, then it may leave a negative impact on their perception of your store. #11 Clear your DataBase regularly. If you want to run your Magento Ecommerce store smoothly, this is important. Many online stores keep a large database with irrelevant data which results in slow website loading. Don’t let that be you. Moreover, cleaning the database is not an easy task, but implementing it can certainly reduce the load time of a Website. Conclusion. Magento is undoubtedly an incredible Ecommerce development platform and most of the companies providing E development services. Use it to create attractive & highly-interactive online Stores. For higher conversions and increased sales, use the above-mentioned tips. Your customers will shop at your store again & again, without any hesitation. These tips will help augment your Magento Ecommerce store Sales & Revenues $$$. Comments: Do you know any other Tips to Optimize Magento Ecommerce? For more Info, click on Online Business .